Backgammon for complete beginners. Part 2 - The rest of the kit. Backgammon for complete beginners. Part 3 - Basic moves. Backgammon for complete beginners. Part 4 - The opening roll. Backgammon for complete beginners. Part 5 - Rolling doubles. Backgammon for complete beginners. Part 6 - Blocking and primes. Backgammon for complete beginners. Part 7 - Hitting and re-entering. Backgammon for complete beginners. Part 8 - Dancing. Backgammon for complete beginners. Part 9 - Bear off basics. Backgammon for complete beginners. Part 10 - Playing through a bear off. Backgammon for complete beginners. Part 11 - Gammons and backgammons. Backgammon for complete beginners. Part 12 - The pip count. Backgammon for complete beginners. Part 13 - The doubling cube. Backgammon for complete beginners. Part 14 - The doubling window. Backgammon for complete beginners. Part 15 - The Crawford rule. 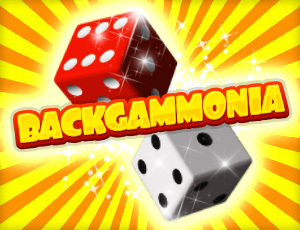 now you can play backgammonia !! Share backgammonia with friends !! !! embed backgammonia in your website or blog ! you came to the right website.